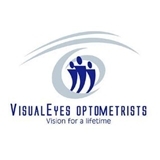 VisualEyes Optometrists PLCC (Fairfax) - Book Appointment Online! Really loved the experience. Doctor and staff were knowledgeable, kind and very helpful. Everyone was great and friendly. Very professional and knowledgeable doctor. Answered all my questions. Highly recommend!